How do urban ruins provoke their cultural revaluation? 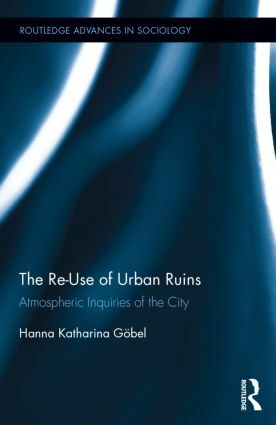 This book offers a unique sociological analysis about the social agencies of material culture and atmospheric knowledge of buildings in the making. It draws on ethnographic research in Berlin along the former Palace of the Republic, the E-Werk and the Café Moskau in order to make visible an interdisciplinary regime of design experts who have developed a professional sensorium turning the built memory of the city into an object of aesthetic inquiry. 1. Introduction 2. The Emergence of Urban Laboratory Cultures of Re-Use 3. Aesthetic Experiments with the Memory of Urban Ruins 4. The Stabilization of Memory: Cultural Engineering of Ruins as Buildings 5. The Politics of Events in Historical Locations 6. Interdisciplinary Expertise and Its Concerns. Appendix. Hanna Katharina Göbel is a cultural sociologist and works as a post-doc researcher at the Institute of Human Movement Science/Performance Studies at Universität Hamburg.